People remember him as deeply spiritual and at the same time fun loving, spontaneous and practical, a down-to-earth person who loved to talk to people from every walk of life. The Ascended Master El Morya first appeared to Mark when he was a young man, but unable to reconcile the turbaned Eastern adept with his lifelong devotion to Jesus, Mark dismissed him. 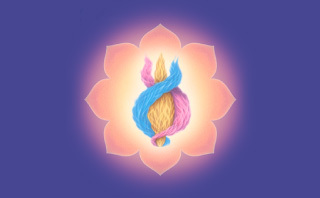 Years later, having realized that the path of the Ascended Master was also the path of Jesus, Mark accepted Morya as his teacher and took on the rigors of discipleship in the tradition of the East. Mark also studied the teachings of Paramahansa Yogananda and was for a time associated with Self-Realization Fellowship as well as the Rosicrucian Order. After serving in the Air Force in World War II, Mark lectured on Christian and Eastern mysticism and the Masters of Wisdom from 1945 until 1952, when he began publishing a series of letters for his students called Ashram Notes, dictated by El Morya. In 1957 El Morya called Mark to Washington, D.C., to found The Summit Lighthouse and publish the teachings of the Ascended Masters. On August 8, 1958, El Morya dictated the first of the Pearls of Wisdom to Mark, launching a worldwide movement. In February 1973, Mark delivered his final dictation which was given at the Santa Barbara Motherhouse in California. Not long after that, Mark ascended to reunite with God. 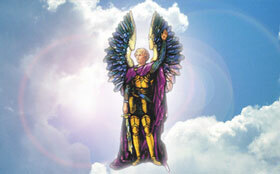 He is known today as the Ascended Master Lanello. 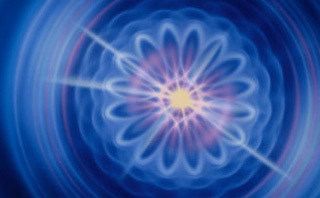 How we love the flame of Love bursting for joy in your heart and as love for one another! Blessed hearts of peace, open now and let God release through you his perfect Love. Fill Your Hours with Joy! Your Mighty I AM Presence with you, shining in all the splendor of the Father-Mother God, does continually radiate to you joy. And the descending crystal cord is a bubbling stream of joy. 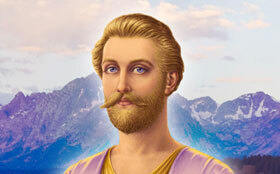 Teachings from Mark L. Prophet on the ascended masters.